Notes: Plans were approved in 1973 for conversion of the South Shields branch to light rail operation as part of the Tyne & Wear Metro. 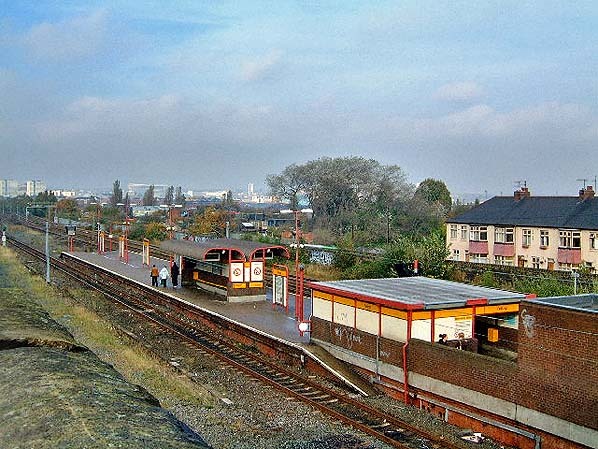 In preparation for this Felling and Pelaw stations were to close and be replaced with a new station at Heworth approximately midway between the two to act as an interchange between Sunderland line trains (which would continue to be operated by British Rail) and the South Shields Metro services. Heworth opened and Felling and Pelaw closed on 5 November 1979. Felling station was rebuilt with a new platform on the site of the NER station which it replaced. 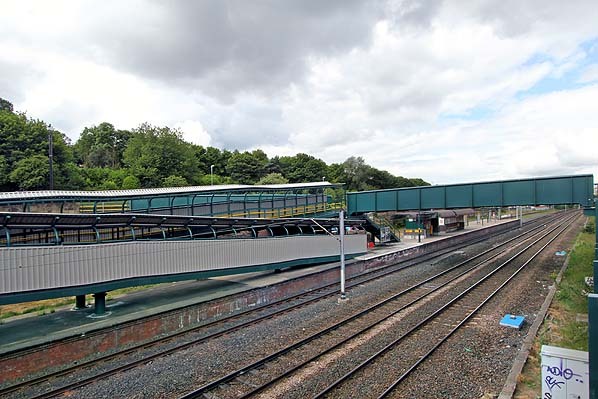 It had the standard Metro island platform shelters with curved awnings, and access was provided by a ramp from the existing footbridge. 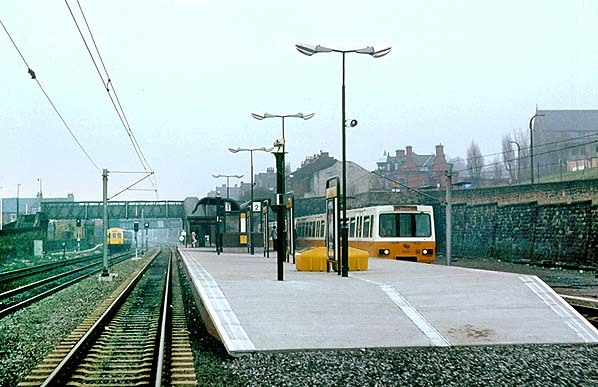 Felling reopened on 15 November 1981 to be served by the frequent South Shields Metro trains, but not British Rail’s Sunderland trains. A booking hall in a simple cubic building was added at the foot of the ramp at the northern end of the platform. From 31 March 2002 the local services on the Sunderland line (and onward to South Hylton) were taken over by the Metro, and these call at Felling. 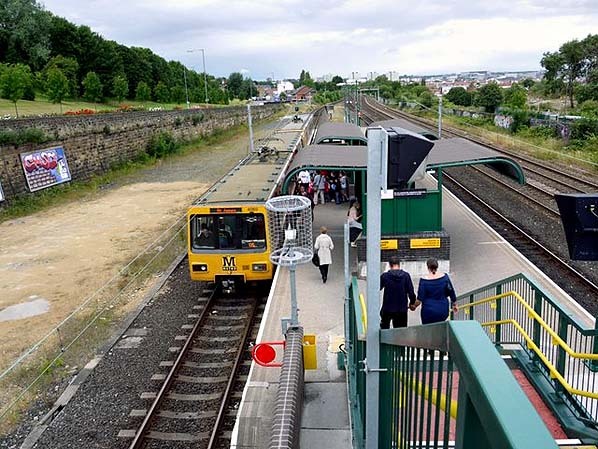 To make the station more accessible an enormous, gently graded ramp which slopes eastwards and doubles back on itself to reach the platform was built after 2005 and the platform was extended eastwards to accommodate it. A staircase provides an alternative, much more direct approach to the platform. The ‘booking hall’ has been removed and a further shelter with awnings not unlike those on the 1980s shelter has been built. Felling Metro station, looking north-west in October 2005. The standard 1980s-design Metro shelters can be seen clearly. This view predates the eastward extension of the platform and the construction of an enormous, gently graded ramp. Looking west from the footbridge at Felling Metro station in July 2010. A metro train is at the Newcastle-bound platform. Felling Metro station looking south-west in June 2011. This site has been used for Felling (second) station since 1896. The station was rebuilt for Metro use and Metro trains were introduced in 1981. To make the station ‘accessible’ the enormous, gently graded ramp was added in the twenty-first century on an extended platform.